My name is Laurie Baars. I'm an illustrator and surface pattern designer living in Seattle, WA. This is where I share my inspirations, what I'm working on, and a little bit about my life in the Pacific Northwest. All images and content on this site are the sole property of Laurie Baars unless otherwise noted. © Laurie Baars, all rights reserved. Please refrain from using any of my designs or images without my prior consent. If you wish to link to or post from this site, great! Please just give appropriate credit for content. See new work, inspiration and more on Instagram! 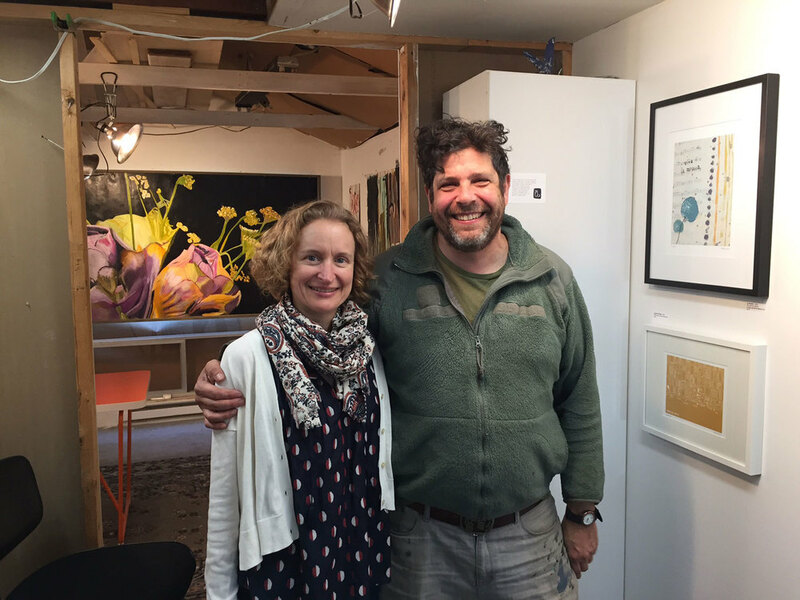 A few weeks ago I participated in my first art show - the Arts North Studio Tour - as a guest at my friend John Irick's studio. John and I have know each other since college days in Austin. Little did we know when we met way back then that many years later we'd both be living in Seattle and making art. One of the best parts about doing the show was getting to see lots of John and talk to him almost every day leading up to it. This was the first official unveiling of the art prints I've been working on for some time. It was a lot of work to get ready for, but it was a great learning experience and totally worth it. I sold a fair amount of work, got great feedback, and met the talented artist Brian Kern who, with his wife Kachi, own Dandelion Botanicals in Ballard. I'll be exhibiting my work at their shop in June as part of the Ballard art walk. I'm looking forward to keeping up the momentum in 2016!